It is so frustrating to have iTunes opens by it self whenever your iPhone is connected, you only mean to charge your iPhone using your computer but iTunes launches for you to manage your music and other iPhone related options. Numerous individuals are unaware that this can be disabled without it affecting the operations of the iTunes when it is manually launched. In this guide, we have outlined numerous ways on how to stop iTunes from opening when connecting iPhone. Step 1: Start your iTunes software and navigate to its preference dialog box. Step 2: Select the Devices option. 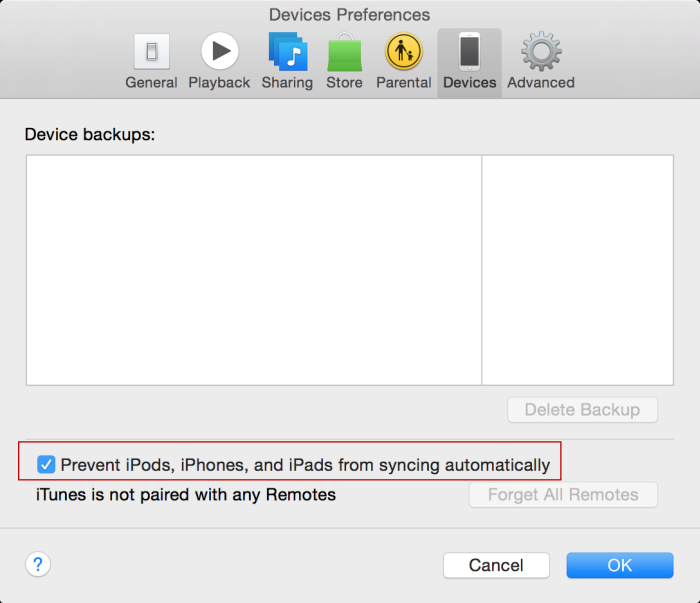 Step 3: In the box marked "Prevent iPods, iPhones and iPads from syncing automatically", check it. If you only want to stop one certain iPhone from opening iTunes, all you have to do is attach the device you would like to stop opening iTunes when your iTunes launches. Step 1: Select your device in the device(s) list. Step 2: Select summary in the left menu. 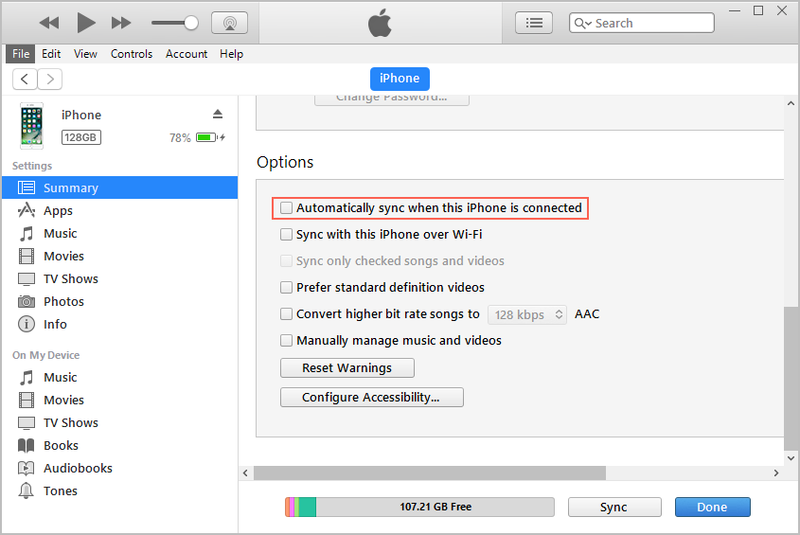 Step 3: Uncheck the box that says "Automatically Sync When This iPhone is Connected". On a Windows PC, during iTunes software installation, an Apple software is installed along with iTunes. 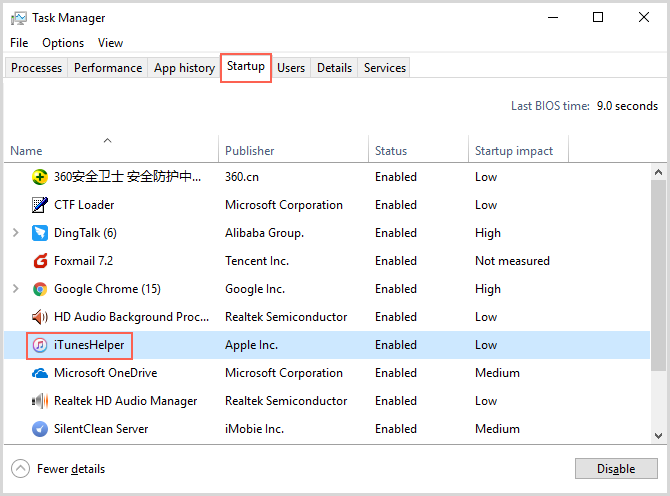 This software monitors all activities in the background and triggers the iTunes app to open once it detects an iPhone operation in the background. This software is known as the "iTunes Helper" if this software is disabled, iTunes remains dormant until you launch it manually. Step 1: Open your Task Manager using Ctrl + Alt + Del. Step 2: Select the Startup tab. Step 3: Search for the iTunesHelper on the list of operations. Step 4: If found, right click on it and select Disable. Step 6: iTunes will stop launching automatically, when your computer restarts, even if an iPhone is connected.If you wish to return the normal way of iTunes opens automatically, go back to your task manager to activate the disabled iTunes Helper. Are you tied of the issue of iTunes opens automatically ? You can try iMyFone TunesMate which is an excellent alternative for iTunes. It has been developed to suit all your necessary needs, and to give you a better experience. 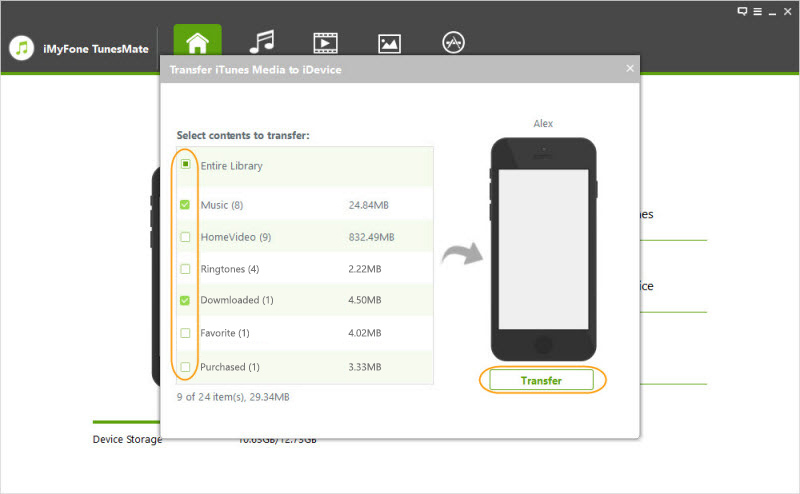 Manage your library with ease, restore, backup, edit, convert and transfer files easily with iMyFone TunesMate. Two-way Transfer: Transfer media files from iPhone to iTunes/computer, or sync files from iTunes/computer to iPhone. Sync without Erasing: Sync files to iPhone from different iTunes libraries or computers without erasing iPhone. Share without Limits: Share iTunes music with family or friends, even in different Apple ID. Step 1: After you've downloaded the software, run it, and then connect your iPhone to the computer. Step 2: Click the "Transfer iTunes Media to iDevice" button at the home interface. The available files would be scanned and showed in a list. 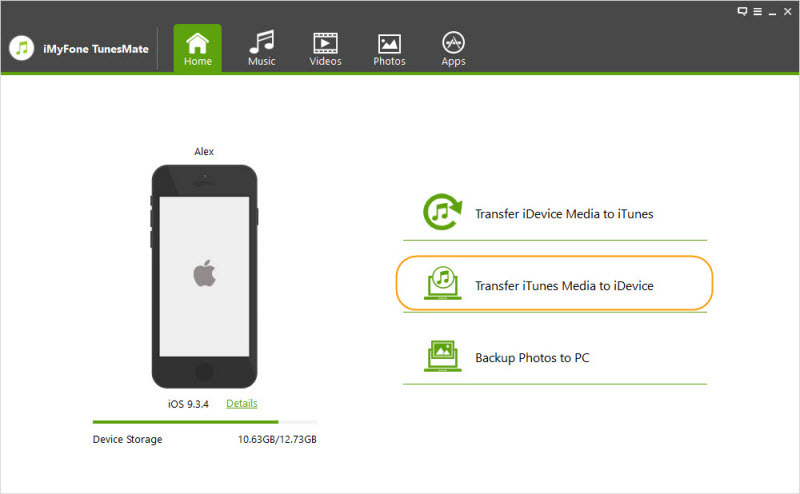 Step 3: All the media files will be scanned, check the specific file types that you want to transfer. Then click on the "Transfer" button. Step 4: Once the process is done, click on OK to finish. You have nothing to worry about, iMyFone TunesMate has been developed with nearly all iTunes functional and operational options and also has the ability to carry out tasks the iTunes cannot do such as rebuild damaged iTunes library. Isn't this lovely? Wait no more, go for it, it's here for you.